Today on That Business Show, I welcomed two accomplished entrepreneurs in studio to discuss their businesses and inspirations and got a lot of great information out of each of the guests. 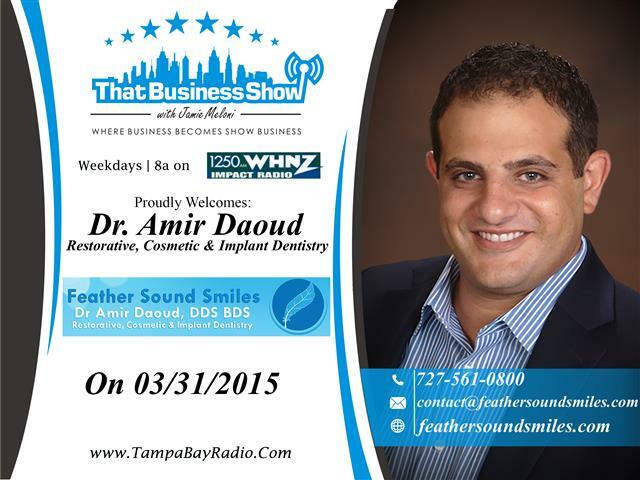 The first guest was Dr. Amir Daoud, Dentist and owner of Feather Sound Smiles. Dr. Daoud recently opened the operation in October 2014 but is highly experienced in the field of dentistry and speaks of his two trips through dentistry school on the show. The first one in London, and then having to start all over in America to get a license to practice in the United States, a difference of about $300,000 between the educational cost in London vs the increased cost in the United States. Dr. Daoud’s practice is located at 2325 Ulmerton Road Suite 27 in Clearwater, FL 33762 and they can be reached at 727-561-0800 for an appointment. Dr. Daoud takes great care by giving each patient lots of time to discuss the best course of action and only sees one patient at a time so there is no running around the office from patient to patient. They use the latest technology in the industry as well including lasers as opposed to drills and can even do some procedures without anesthetic given the new technology. Dr. Daoud offers a $59 new patient experience, so please contact them at 727-561-0800 to schedule an appointment today! 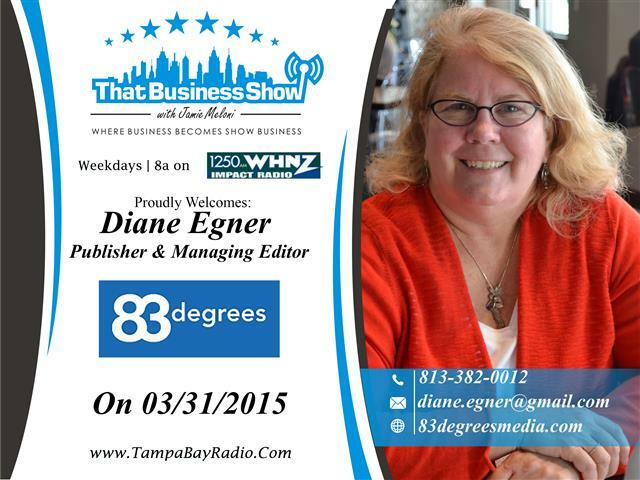 My second guest on the show was the Publisher and Managing Editor of 83 Degrees Media, Diane Egner. Diane Egner is an award-winning journalist with more than three decades of experience writing about the Tampa Bay region and launched this new media platform in 2009 with the focus being on positive events surrounding the Tampa Bay community. Diane speaks of her transition from traditional media to this new business and some of her inspirations from around the Tampa Bay region. Diane also invites anyone in the community with a story worth telling to reach out to her and let her know, she wants to help you get your message out as do I. You can subscribe to the online publication free of charge via the subscribe link at the website http://www.83degreesmedia.com and can submit story ideas to her staff by emailing feedback@83degreesmedia.com or tips@83degreesmedia.com. Happy Monday and a great start to the week here on That Business Show with Jamie Meloni. 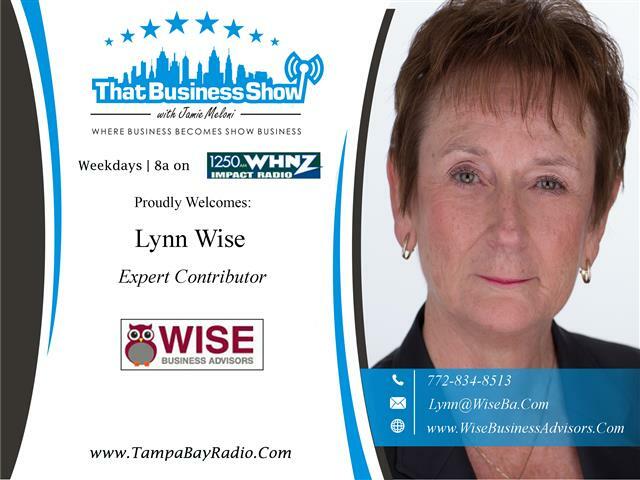 Opening the show was Expert Contributor Lynn Wise of Wise Business Advisors who was in studio to discuss her latest business endeavor, on demand business services. Lynn’s business caters to the contractors and she has over 35 years of experience working in this industry and is the author of Build It, Grow It, Sell It, Nine Steps to a Thriving Contracting Business. Her knowledge and expertise transfer overs to this business model where she can help you, the contractor, grow your business by handling the back end while you are in the field doing what you do best, working! Lynn is also launching new workshops that will teach contractors how to focus on recurring revenue and discusses some of the lost opportunities that contractors miss out on during this show. Lynn is available for more information by visiting her website at http://www.wisebusinessadvisors.com or contact her directly at 772-834-8513 or email at lynn@wiseba.com! 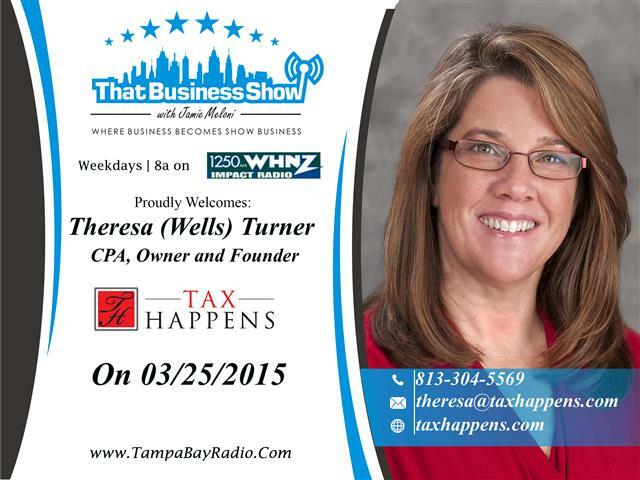 On the 2nd half of the show, I spoke with Kelly Flannery, President and CEO of the South Tampa Chamber of Commerce. Kelly is a Tampa native and young professional working to make a difference in the South Tampa community through this influential organization that has been around since 1926. Kelly speaks of her Tampa roots and discusses some of her many accomplishments on the show including her 2014 finalist position for Tampa Bay Business Journal’s Business Woman of the Year. Kelly touched on many of the chambers benefits including not just networking, but business growth and development through membership is a huge advantage to membership as well. There are many of events held every month including the Taste of South Tampa being held April 12th at Steinbrenner Field where restaurants will have their food and cuisine on display and a crowd of about 2000 will be expected to get a taste of many of the great South Tampa restaurants. Learn more about Kelly and the South Tampa Chamber by visiting http://www.southtampachamber.org or contact her directly for more information at 813-637-0156 or email at Kelly@southtampachamber.org! Happy Friday and a great interview about a new app designed to assist breast cancer patients through their journey was the focus of today’s conversation. On the show was John Papandrea, President and CEO of WillowGlade Technologies which has designed and released this app which is available on iPad, iPhone and Android Devices by searching for “My Breast Cancer Journey” and is designed to help keep patients informed as well as allow them to bring in a support network of friends and family to help them along this journey. The app is free of charge and has a variety of features to it in addition to the support network including record keeping, and educational documents and videos customized to the diagnosis of the patient as well as the treatment path and much more. John Papandrea has over 23 years health science industry and related technology experience and has vast experience providing strategic direction and advice to a vast array of clients in all regions of the world. John holds a bachelor’s degree in Biomedical Science from the University of Technology Sydney and a master’s degree in Health Administration from the University of New South Wales, Australia. Learn more about this app at http://www.cancerjourneyapps.com as well as more about WillowGlade Technologies at http://www.willowgladetechnologies.com and be sure to search for the app in the app store using My Breast Cancer Journey” and again it is free of charge! 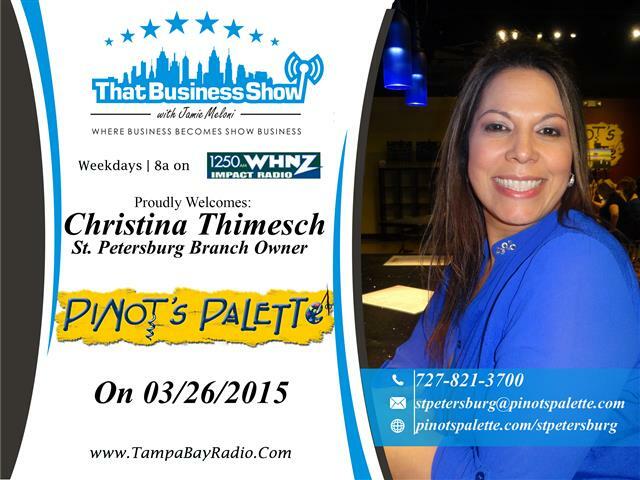 Today on That Business Show I welcomed Christina Thimesch in studio on the first half of the show to discuss her business, Pinot’s Palette located in Downtown St. Petersburg at 1572 Central Ave. This business allows people or groups to come in and become a “Picasso” so to speak. Patrons are guided through a painting class with a skilled painter in a group setting and can enjoy a glass of wine or beer or other beverage while partaking in this group event. They offer onsite events as well and this is a great format for team building events or can be a fun experience for a group of friends or an idea for a bridal party or girls/guys night out. Christina is a mother of 6 including a set of triplets and tells us about her transition from the medical industry into entrepreneurship and how she became interested in this revolutionary franchise. Learn more about Christina and this business at http://www.pinotspalette.com/stpetersburg or contact her directly at 727-821-3700 or email at stpetersburg@pinotspalette.com! The 2nd half of the show was the Remodeler’s Corner featuring Yeager and Company. Jim Yeager was unable to join us in studio today but we were joined in studio by Charlie the Plumber and new hire Travis Scott, both Marines who along with Jim Yeager are promoting the new non-profit organization PI-PI that Jim Yeager is launching geared towards assisting Marines transitioning from the battlefield to the workplace. PI-PI stands for Paris Island to Private Industry and Jim Yeager is looking for both employers and Marines to get involved. 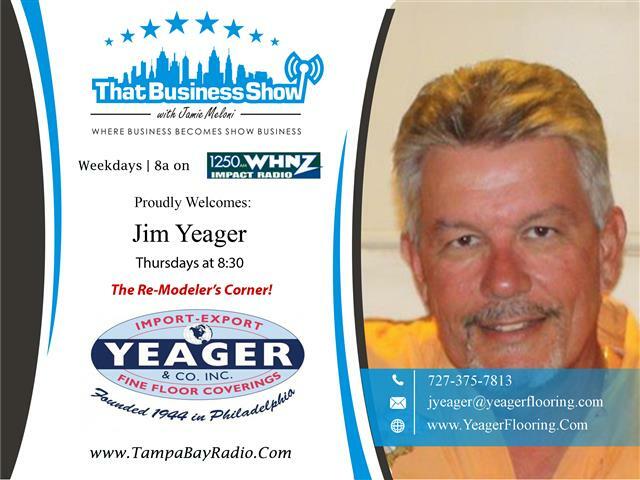 To get more information on this contact 727-375-0206 and you can reach out to Jim Yeager directly at jyeager@yeagerflooring.com and be sure to visit their website http://www.yeagerflooring.com for all your flooring and remodeling needs! Thanks again to Jessica Rivelli and her amazing networking group of professional women for sponsoring and being part of Working Women Wednesdays, featured every Wednesdays on That Business Show with Jamie Meloni. Learn more about this influential group at http://www.workingwomenoftampabay.com. The first professional I featured today was Theresa Turner, owner of Tax Happens, a local accounting firm that she runs as a CPA. She gave out some great tax advice for small business owners and we discussed tips on bookkeeping for business owners as well as some of the different structures businesses incorporate under and the reasoning for that. Theresa speaks of her path from nursing into numbers on this first segment and is some great topical advise ahead of Tax Day which is just around the corner. Her offices are located at 10018 Park Place Ave in Riverview, FL and you can reach out to her directly at 813-304-5569 or email at Theresa@taxhappens.com. Learn more at http://www.taxhappens.com! On the 2nd half of the show, I spoke with Julie McAdoo, a local entrepreneur and a veteran of the US Air Force where she served for seven and a half years as an aircraft navigation officer on C-130s. Julie left military service in 2006 and obtained her MBA and is now the owner of two local cleaning companies, a commercial cleaning company called Office Pride Commercial Cleaning Services and a residential cleaning service called Refresh Your Nest. This is a great segment as Julie talks about the transition from military life to entrepreneurship and lets us know about some great resources that she used on this path. Learn more about Julie and her companies at http://www.commercialcleaningtampa.net and http://www.nestrefresh.com or contact her directly at 813-448-6373 or email at juliemcadoo@officepride.com! Today on That Business Show, I welcomed three insurance representatives from the insurance firm of Wallace, Welch & Willingham. Founded in 1925, Wallace, Welch & Willingham has a rich history of providing quality service in all areas of insurance. They have insurance products to fit the needs of all people whether it is traditional insurance products such as life or health insurance to marine and auto insurance and more. Ken Jones who is their Business Development Coordinator, spoke of the company’s rich history and how they are a one-stop shop for any and all insurance needs. Ken has worked his entire professional career in the field of sales and has been in the commercial insurance space since 2008 and joined Wallace, Welch & Willingham in 2013 to grow the company’s product lines in all areas of insurance. 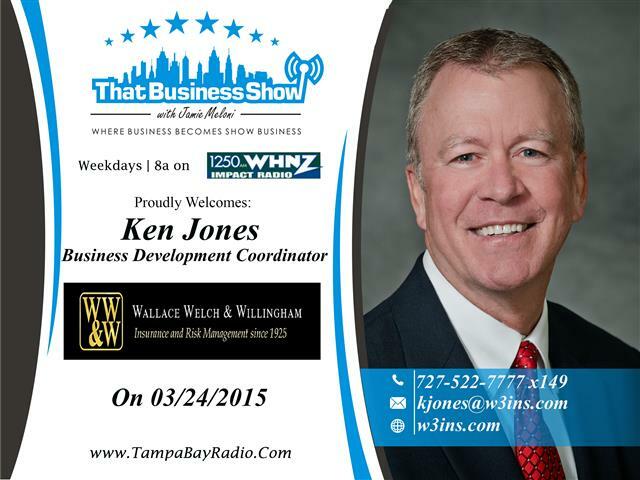 Reach out to Ken Jones at 727-522-7777 X 149 to see how he can help you or your business’s insurance need and he is also available via email at kjones@w3ins.com. 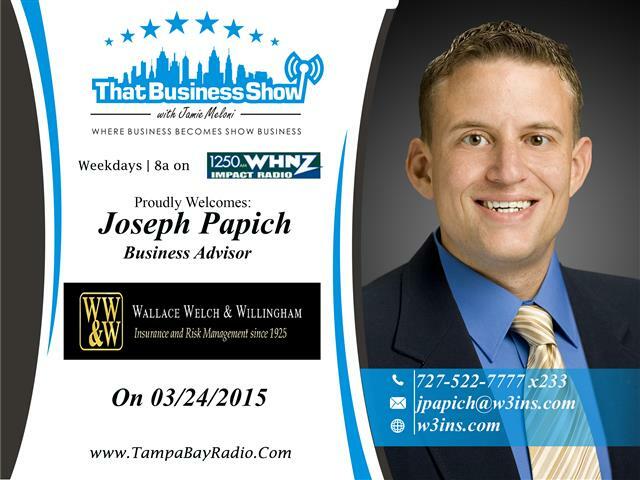 Joseph Papich was on the show to discuss the Affordable Care Act aka Obamacare and gave out some great tips and information that employers need to know to stay in compliance with this new law. JP has been with Wallace, Welch & Willingham since 2007 and is available to assist you with all your health insurance needs and more! Contact him at 727-522-7777 X 233 or email at jpapich@w3ins.com. 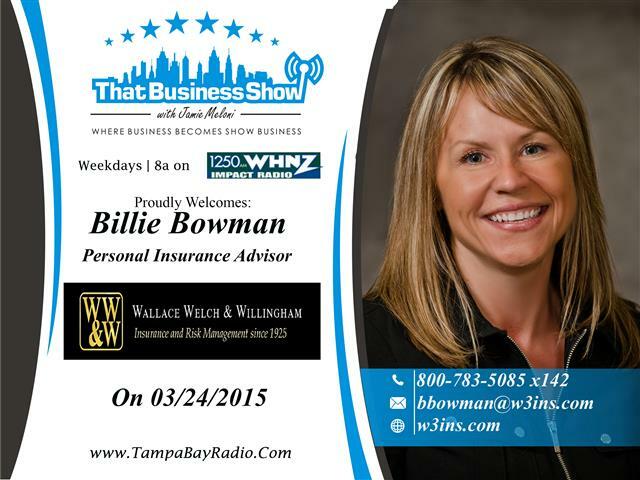 Billie Bowman was also with us in studio and has been with Wallace, Welch & Willingham since 1989. She spoke of and gave great tips and advice on the areas of flood, property and auto insurance. She specializes in designing personal insurance plans for high net worth clients and is a long time St. Petersburg resident who can help you with all your insurance needs as well. Reach out to Billie Bowman at 800-783-5085 X 142 or email at bbowman@w3ins.com. And be sure to visit their website at http://www.w3ins.com for more information!